Camfed has received numerous honours in its two decades of operation. We are delighted to have been recognised internationally for our groundbreaking work in girls' education. Here are just a few of the accolades that have come our way. On International Youth Day, the United Nations Girls’ Education Initiative (UNGEI) announced that Camfed alumna Alice Saisha from Zambia was chosen as its Global Advisory Committee Youth Representative. Alice will be sharing the experience and expertise of the young women leaders in Camfed’s pan-African CAMA alumnae network to inform global education policy. 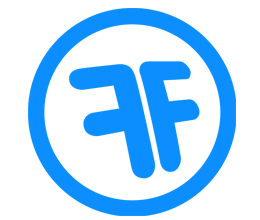 Camfed has been recognized as the winner in the Best Customer Experience category in FinancialForce’s fourth annual 360 Customer Excellence Awards.Camfed was selected for the impact that its internal technology and process transformation has had on clients (girls in rural Africa) and donors. In October 2015, Ann Cotton’s work to educate young women in Africa was honored with the Ahimsa Award at the UK House of Commons. The award celebrates compassion and non-violence in the spirit of Jain philosophy, which was followed by Mahatma Gandhi. 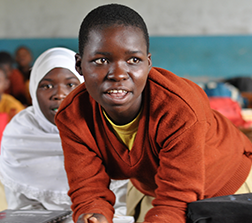 In November 2014, Ann Cotton’s work to support community-owned, integrated education programmes for girls and young women in rural Africa was recognized with the global WISE Prize for Education, which highlights the innovation, scale and impact of programs that reaches the most marginalized communities. In October 2014, Camfed was recognized as a model of best practice in taking innovation to scale by the Development Assistance Committee (DAC) of the Organization for Economic Co-operation and Development (OECD). Camfed alumna, Cama chairperson and entrepreneur Ruka Yaro of Ghana was selected as one of 500 individuals selected out of 50,000 qualified candidates for Washington Fellowship under President Obama's Young African Leaders Initiative. Former Camfed bursary recipient Abigail Kaindu was appointed as one of 10 youth advocates from across the globe to the United Nations Secretary General's Youth Advocacy Panel, which forms part of a new Education First initiative to get all children into school. Camfed alumna Penelope Machipi received the $25,000 award for making a difference in her community in Samfya, Zambia. Camfed Founder and President Ann Cotton was named a Global Social Entrepreneur by the Geneva-based Schwab Foundation. Camfed USA earned the highest rating awarded by Charity Navigator for its efficient financial practices. Chief Executive Officer (then Deputy Executive Director and Director of Programmes) Lucy Lake was nominated as one of the top “35 business women under the age of 35” by the magazine Management Today. Founder and President Ann Cotton was awarded an honorary doctorate in law from the University of Cambridge. 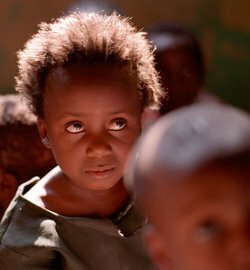 The Financial Times selected Camfed to be the recipient of its annual fundraising appeal in 2006 and 2007. Camfed Zimbabwe Executive Director Angeline Mugwendere was awarded this prize by the Women's World Summit Foundation. Camfed Founder and President Ann Cotton was awarded an Order of the British Empire in the Queen’s New Year Honours List. Camfed Founder and President Ann Cotton was awarded the Skoll Foundation Award for Social Entrepreneurship. Camfed Founder and President Ann Cotton won a Beacon Prize, awarded in the UK to those who have made a significant contribution to charity. Camfed Founder and President Ann Cotton was named the UK Social Entrepreneur of the Year. Camfed was voted International Aid & Development Charity of the Year at the annual Charity Awards, organised by Charity Finance. 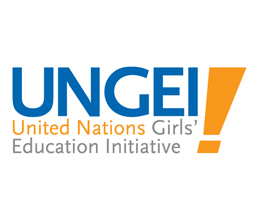 UN Girls’ Education Initiative Youth Representative LogoOn International Youth Day, the United Nations Girls’ Education Initiative (UNGEI) announced that Camfed alumna Alice Saisha from Zambia was chosen as its Global Advisory Committee Youth Representative. Alice will be sharing the experience and expertise of the young women leaders in Camfed’s pan-African CAMA alumnae network to inform global education policy. FinancialForce 360 Customer Excellence AwardCamfed has been recognized as the winner in the Best Customer Experience category in FinancialForce’s fourth annual 360 Customer Excellence Awards.Camfed was selected for the impact that its internal technology and process transformation has had on clients (girls in rural Africa) and donors. 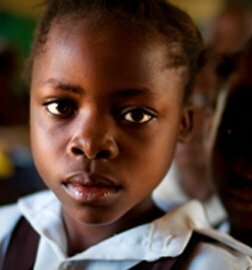 Ahimsa Award (2015)In October 2015, Ann Cotton’s work to educate young women in Africa was honored with the Ahimsa Award at the UK House of Commons. The award celebrates compassion and non-violence in the spirit of Jain philosophy, which was followed by Mahatma Gandhi. WISE Prize for Education LogoIn November 2014, Ann Cotton’s work to support community-owned, integrated education programmes for girls and young women in rural Africa was recognized with the global WISE Prize for Education, which highlights the innovation, scale and impact of programs that reaches the most marginalized communities. OECD LogoIn October 2014, Camfed was recognized as a model of best practice in taking innovation to scale by the Development Assistance Committee (DAC) of the Organization for Economic Co-operation and Development (OECD). UN LogoCamfed alumna, Cama chairperson and entrepreneur Ruka Yaro of Ghana was selected as one of 500 individuals selected out of 50,000 qualified candidates for Washington Fellowship under President Obama's Young African Leaders Initiative. UN LogoFormer Camfed bursary recipient Abigail Kaindu was appointed as one of 10 youth advocates from across the globe to the United Nations Secretary General's Youth Advocacy Panel, which forms part of a new Education First initiative to get all children into school. 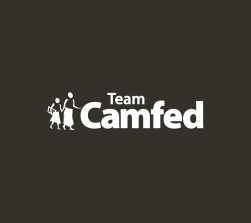 As part of its 800th year anniversary celebration, University of Cambridge named Camfed as the Charity of the Year.